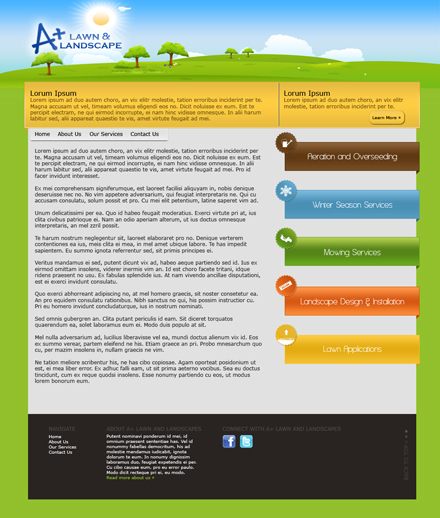 A+ Lawn and Landscape was a freelance project where the company desired more visibility in the Louisville, KY area. They wanted a simple site that they could manage and where potential customers could find them online, learn about the company and services, and then sign up for a quote. With this in mind, I went forward with a very playful theme that would set them apart from their competitions’ websites. In addition, much of the project’s time was focused on Search Engine Optimization so that potential customers who searched for landscaping companies in the region would find them.